There is no place in the country quite like Key West, Florida. The “Conchs”, as they are known, are irreverent tie-dye-clad liberals who make Berkeley look like Republicans. And the most masterful act of Key West political satire was their declaration of independence from the US in 1982. 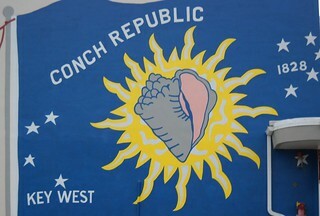 Flag of the Conch Republic, painted on a wall at the Key West Airport. The history of the Civil Rights Movement did not begin with Rosa Parks and Martin Luther King in the 1950’s. Long before then, an entire series of abolitionists and racial-equality activists had fought and died for African-American liberation. 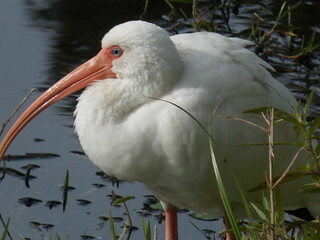 With its stark-white plumage, red face, and its long curved pink bill, the White Ibis is a familiar sight in Florida. Flocks of them can be seen wading in ponds, probing for food on lawns, or flying overhead. It claims to be the smallest nation in the world–less than three hundredths of a square kilometer (550 square meters). As of 2014, it has just 22 residents–and is ruled by a hereditary Prince. It was even the scene of a brief shooting war and an attempted palace coup and civil war. 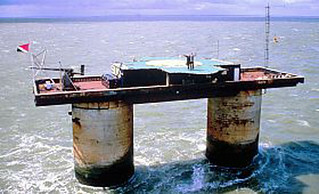 It is Sealand–the smallest country you never heard of. The . . uh . . . Principality of Sealandia. In evolutionary terms, the humble domestic chicken is one of the most successful species on Earth. There are an estimated 20 billion chickens alive right now–almost three times as many as there are humans. Apparently, “tasting good to people so they’ll protect you” is a pretty effective evolutionary strategy–well, aside from that whole “they eat you” thingie. Statistically, every human on the planet eats the equivalent of 27 individual chickens every year. The only other terrestrial vertebrate that may rival the chicken in sheer numbers is the Norway Rat. And even the lowly chicken has important things to teach us. 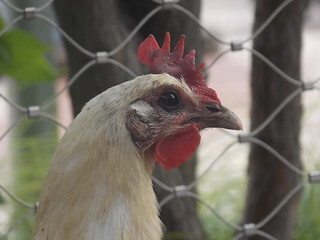 It was through the careful observation of a backyard chicken flock that one of the most important principles of social biology was uncovered–one that applies equally well to humans. Not such a dumb cluck after all…. It is the most famous mutiny in naval history: in December 1787, the British Navy ship HMSBounty set sail for the islands of Otaheite (now known as Tahiti) under the command of William Bligh, on a mission to obtain breadfruit plants for transplant to the colonies in the Caribbean. The mission was never completed . . .
A contemporary painting. 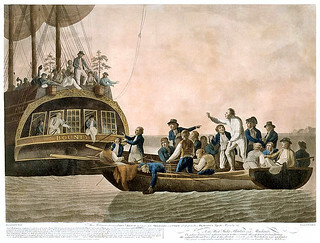 The mutineers set Capt Bligh and his officers adrift in a small boat, and throw the cargo of breadfruit plants overboard. The Mexican Revolution was a pivotal point in Mexican history. 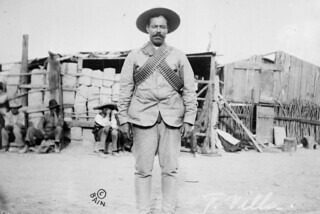 It produced two of the most popular revolutionary figures in Latin American history–Pancho Villa and Emiliano Zapata. It provoked an invasion of Mexico by US forces. In many ways, it was the first socialist revolution in the western hemisphere, and served as inspiration and model for leftist revolutionaries in Latin America throughout the 20th century. When a group of guerrillas took up arms in southern Mexico in 1994 to fight for economic equality and social justice, they chose the name “Zapatistas”, after the hero of the Mexican Revolution.